Quilt any size top with any size machine with Quilt as You Go! There are many Quilt as You Go techniques, but the one Teri teaches is quick and simple. In the first part of this two-part class, Teri will guide you through piecing and quilting each block of the simple pattern Rectangles Rock and Roll. 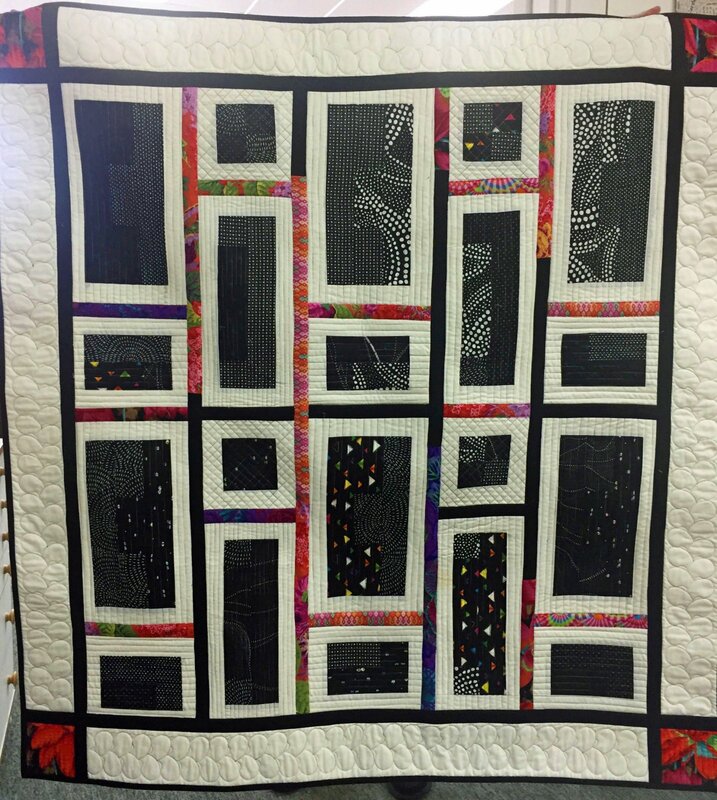 You can quilt with your walking foot, free motion, or with your embroidery module. In the second part, Terri will introduce a new sashing tool to quickly assemble your quilted blocks to perfection!